Lilydale is a beautiful suburb of Melbourne with plenty of history and beautiful architecture. It’s a popular place to live and as a result, skip bins Lilydale are often in high demand. Hiring skip bins Lilydale is simple when you use Best Price Skip Bins. Not only are Best Price Skip Bins the cheapest around, we’re also the fastest…we can get your skip to you within 24 hours. Why are we the cheapest? Because we’re dedicated to searching out the cheapest suppliers out there. When you book with us you get the cheapest skip bin available because we find the supplier with the best rates. We can do this so effectively because we’ve been at it for years and have formed strong links with all of the local skip hire companies. What can you put in a skip bin in Lilydale skips? What can’t you put in Lilydale skips? 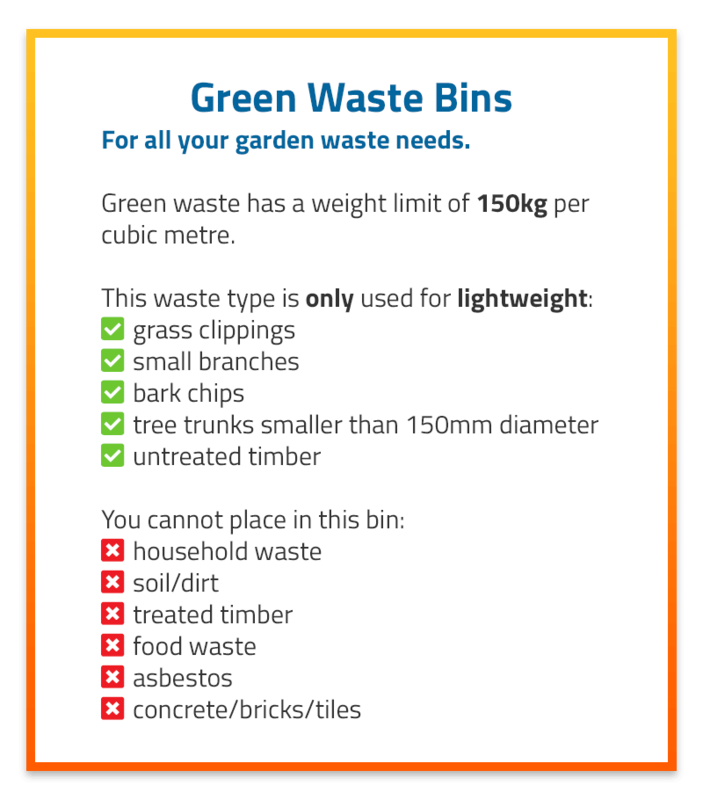 Best Price Skip Bins accept most waste types including green waste, concrete, soil and bricks. We even accept old tyres and mattresses. Our team asks that you try to take mattresses apart so that we can recycle the springs. Best Price Skip Bins is an eco-friendly company and are always trying hard to avoid putting more waste into landfill. 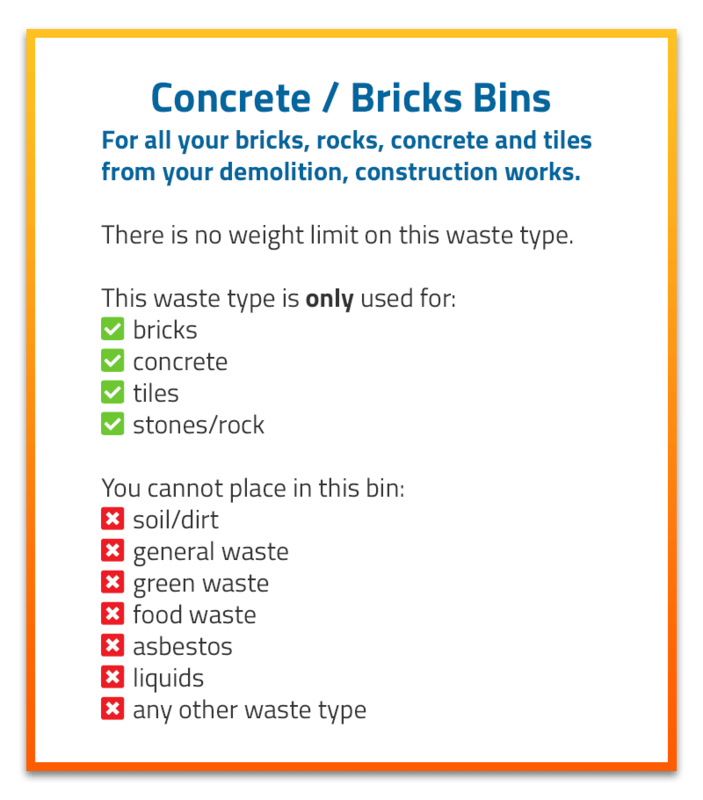 We cannot accept asbestos or liquids in our skip bins so if you have these to deal with, contact the relevant bodies to remove them safely. If you’d like to ask any questions about what you can and can’t put in our skips, just get in touch and we will be happy to answer your queries. What size skips Lilydale do I need to hire? This question depends very much on the job you’re undertaking. If you only have a small amount to deal with then mini skips Lilydale are a great option. We have skip bins which are as large as 30m3 and as small as 2m3 so there’s no job too big or small when you book skips Lilydale with Best Price Skip Bins. 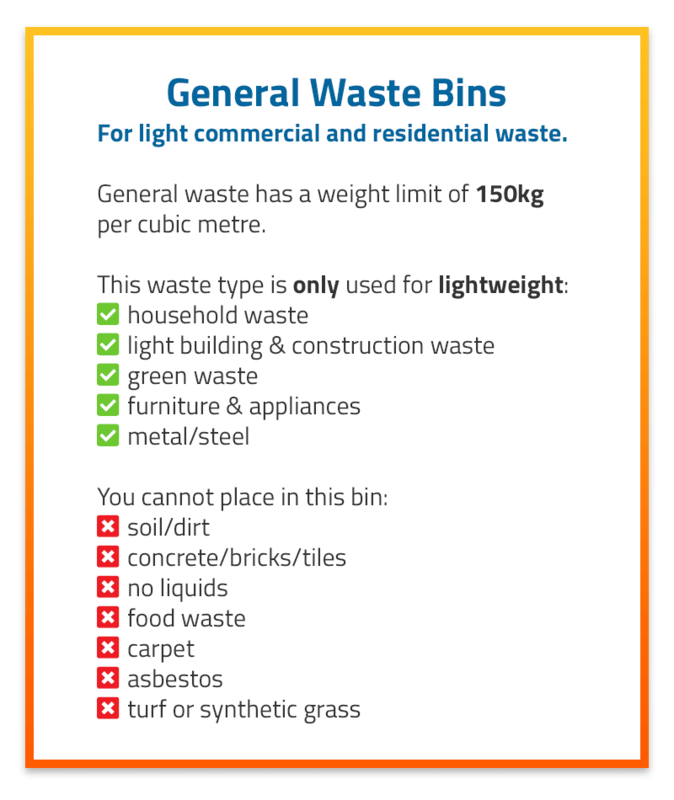 Below are the skip bin sizes we have available for the Lilydale area. How do I find the cheapest skip bin hire Lilydale available? Just contact Best Price Skip Bins! You won’t get a better deal because our dedication to finding the best prices for our clients is what keeps us at the top of our game. As a family owned and operated company, we understand how important budget is to our customers; this is what drives us to make sure you get the best deal. If you’d like to book skip bin hire Lilydale, get in touch today and we will be happy to help. Is skip hire Lilydale the best way of removing my rubbish? You can either book a skip bin or waste hours loading up trailers full of rubbish, then driving them to the dump and unloading them again. We know which is easier and it’s not visiting your local dump! Skip hire Lilydale is fast, convenient, affordable and clean! Once you have filled it we will collect the skip from your place and take it away; simple and no double handling necessary. Do I need a council permit for a skip bin hire in Lilydale? A council permit is not required if placing the skip on private property. 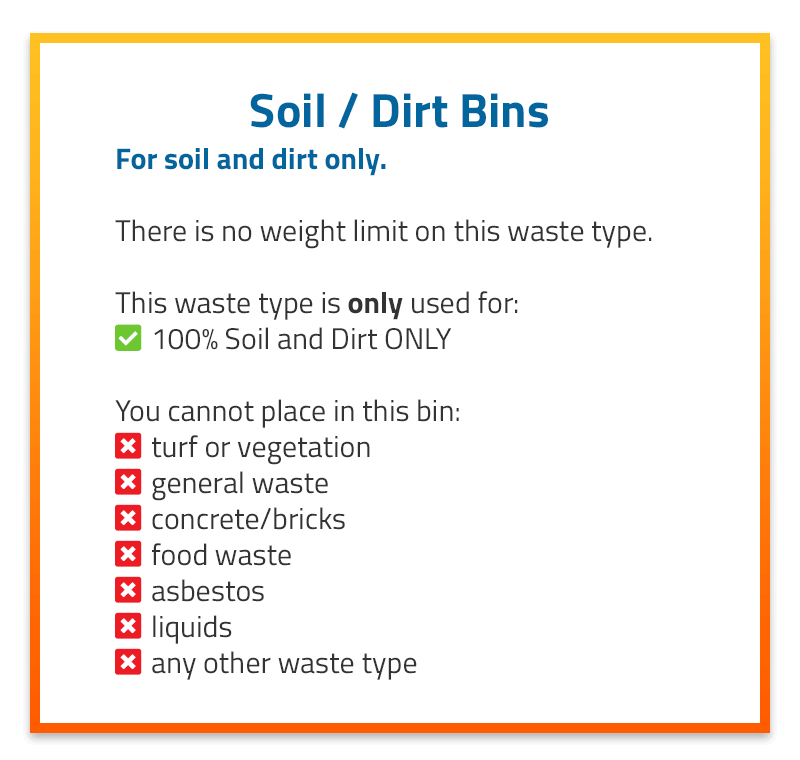 However, if the skip bin is to be placed on public property in Lilydale such as the nature strip, street or footpath, a permit is required. Councils charge for these permits too so it is important to know where you want the skip bin delivered. 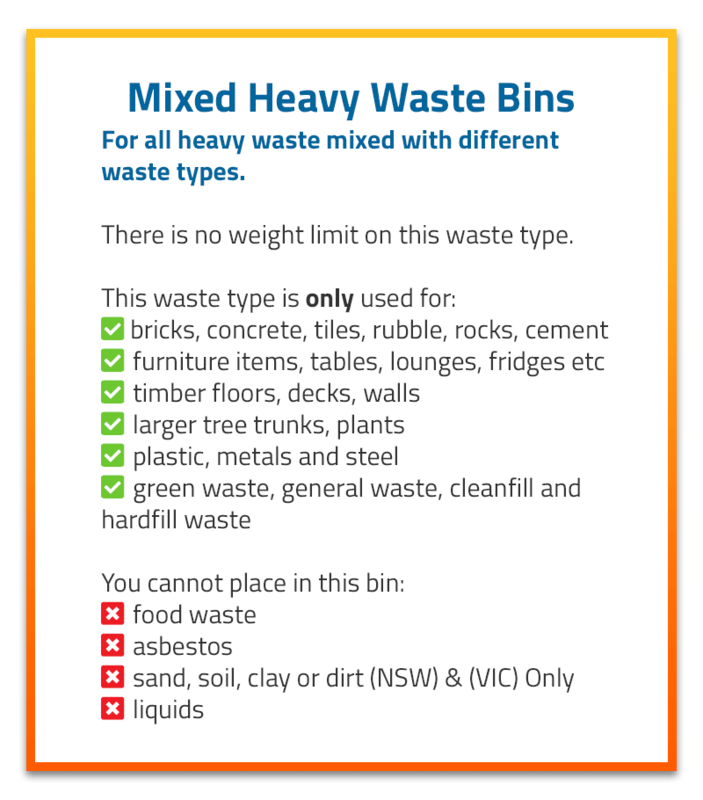 To learn more about skip bin permits, visit Yarra Ranges Council. Book your skip bin with Best Price Skip Bins today!